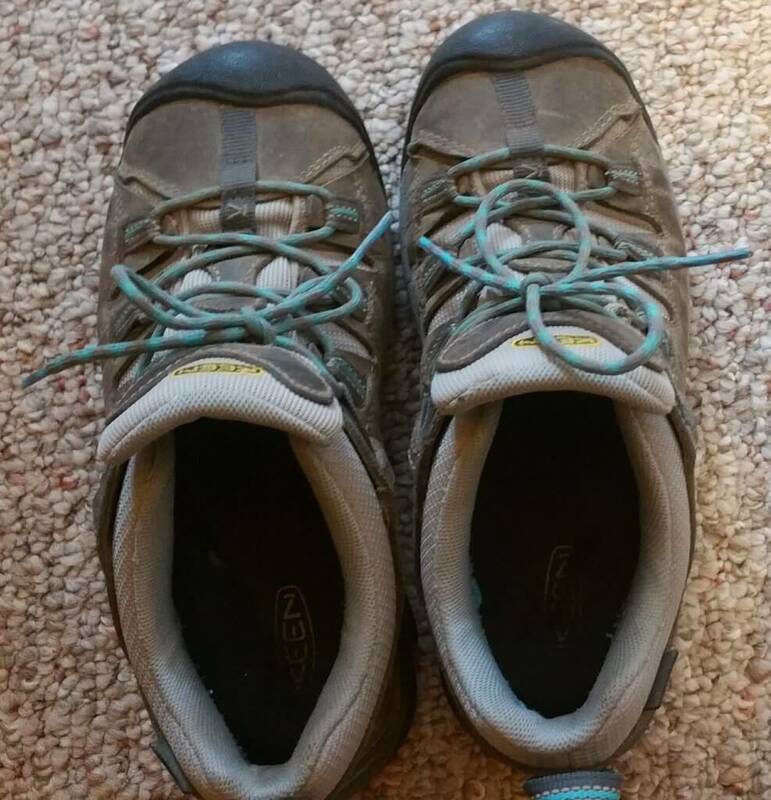 What's on My Feet When I Walk or Hike in Denver? So when I realized that all I ever think about any more is shoes, I had to do a double take. Actually, I don’t really think about shoes. I think about my feet. If my feet aren’t happy, I’m miserable. My feet make me money. When I can’t walk, I’m not making money. 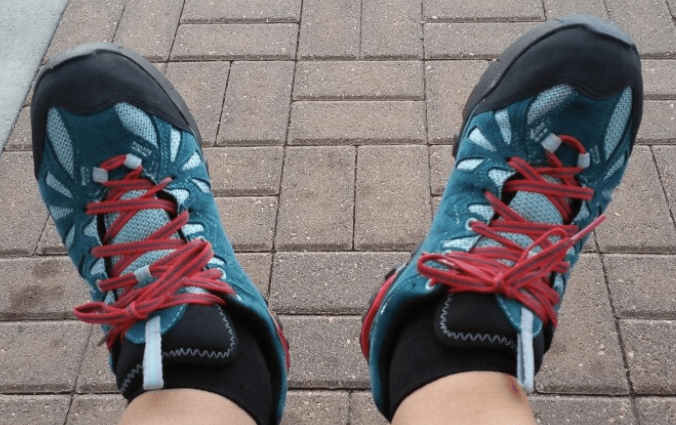 In my career as an urban hiker and walking traveler, I’ve given a lot of thought to my feet. And thus, my shoes. 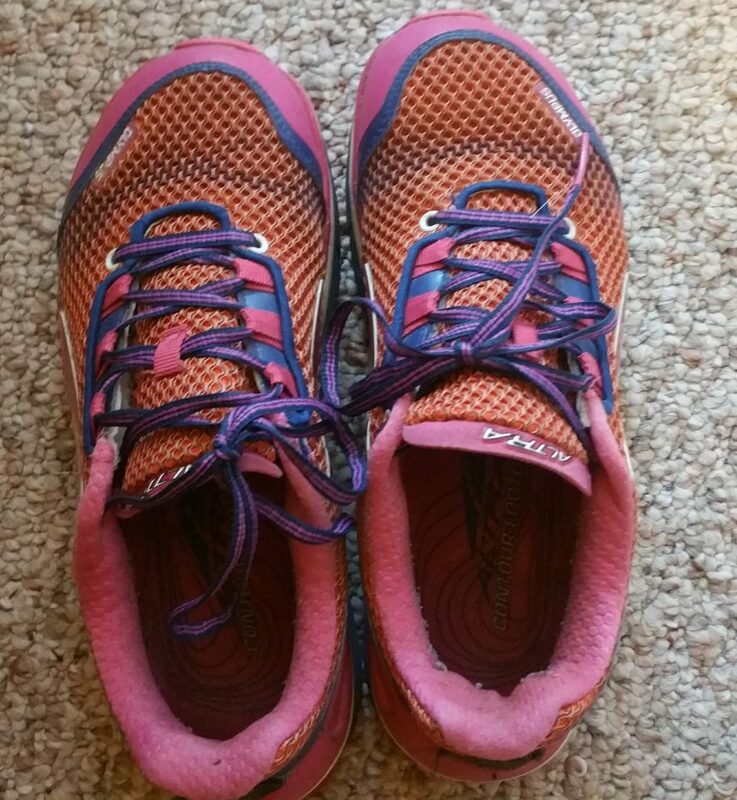 As my mileage has increased, my shoes have changed. I have gotten serious about my shoes. First I started with a pair of Jeep J-41s. I had gone to my local Off Broadway shoes and picked them up for about $35. They were cute, looked okay with shorts or pants, and passed the test for comfort. 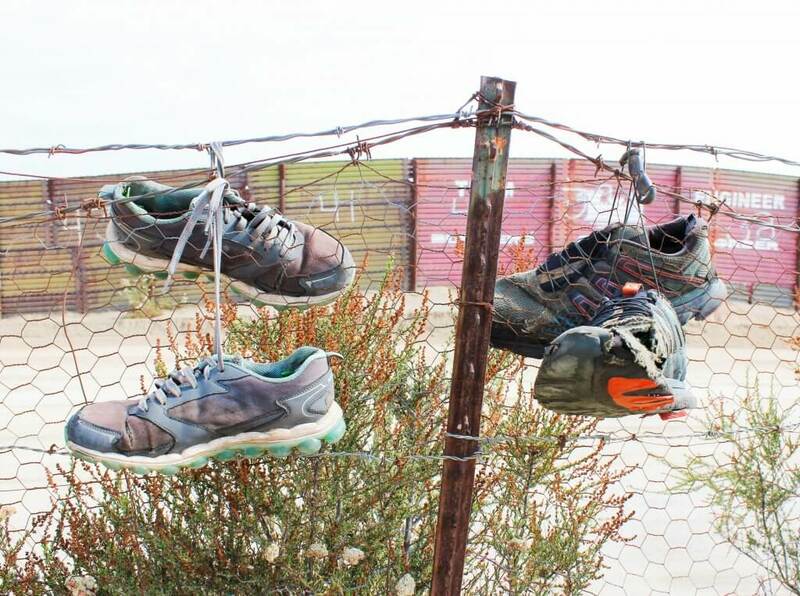 I wore them all around Israel, where we walked 5-6 miles a day, 1/2 miles at a time, and were on the bus the rest of the time. When I got back from Israel, I wasn’t quite the walker I am today. Treadmills still hollered out for me, and my outside walking wasn’t much. So I got myself a pair of Altras off of Amazon. 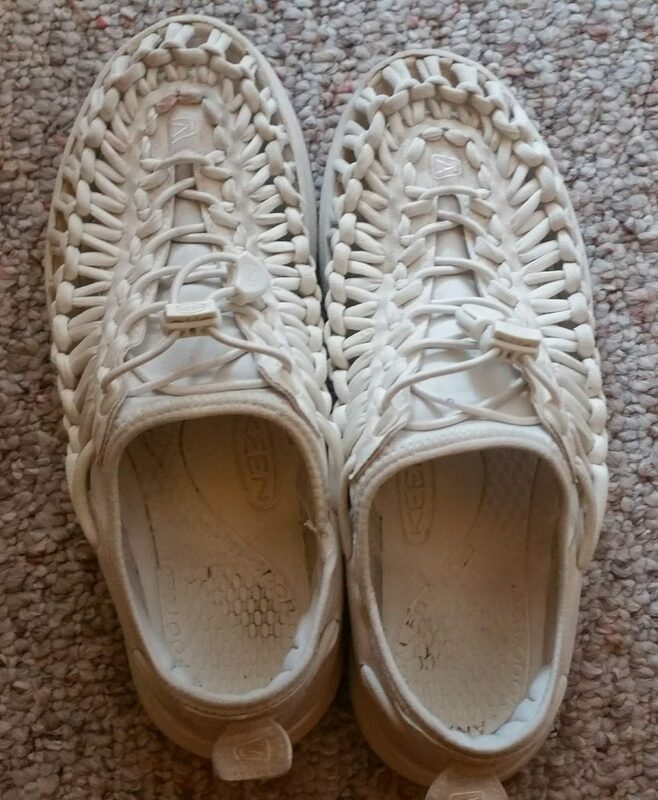 I promise you that if I’d seen these in person, I wouldn’t have purchased them because I think they’re ugly. But they are comfortable. They’ve got a concave soul, so you rock forward when walking in them. They were cuter on Amazon. But they are comfortable, and when on a treadmill, they do a good job. But for outdoor walking, no thanks. I soon found myself wanting to be outdoors more. Why not, Colorado is certainly the outdoor state. 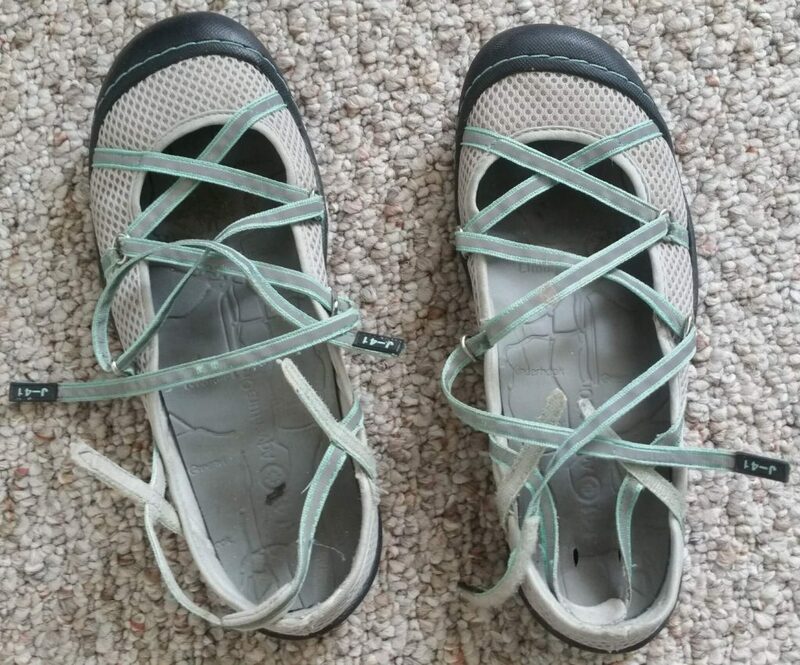 So I dropped in at REI, where they sold me a pair of Merrell Capras. They tried to get me to buy a membership, and at the time, I said no. I’d never be back in REI again, so why spend the $20 on a membership? I liked the Capras so much, I blogged about them. They lasted one winter. By this point, I had transitioned from a 3-4 days/week walker to every day. And outside. I needed something a bit sturdier, and so I went back to REI. I think I tried on every pair in the store. Three hours of shoe shopping. 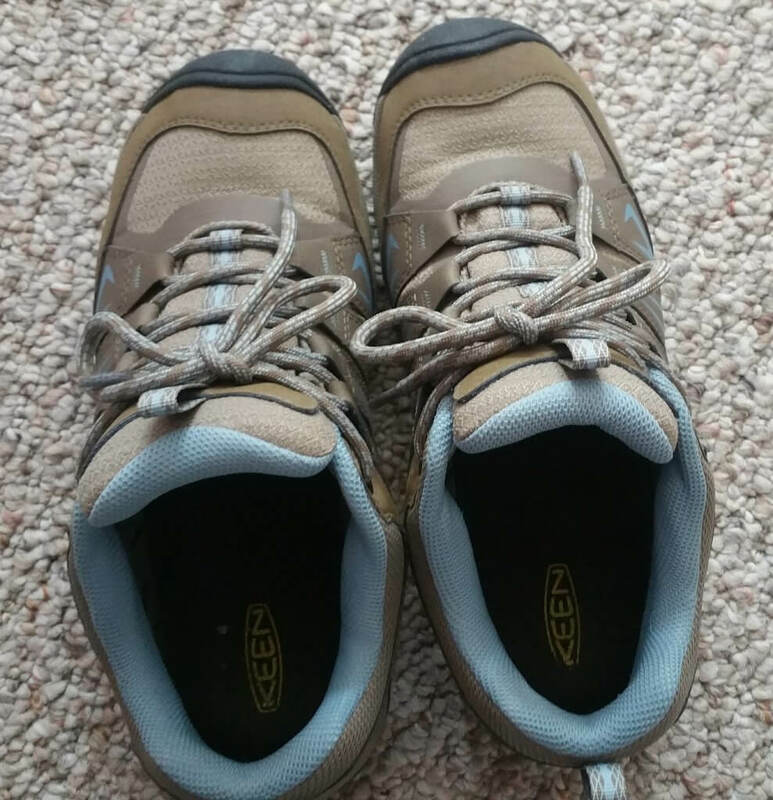 I purchased my first pair of Keen Targhees. Six months later, my second and an REI membership. Another six months later, my third. I bragged about the Targhees and recommended them to everyone. I think half of Denver’s walking population now owns a pair of Targhees. Targhee also comes in a sandal. Kinda. Keen makes an ugly, brown Arroyo sandal (please, more colors!) that has some good arch support (that sadly, REI doesn’t carry in my local store.) 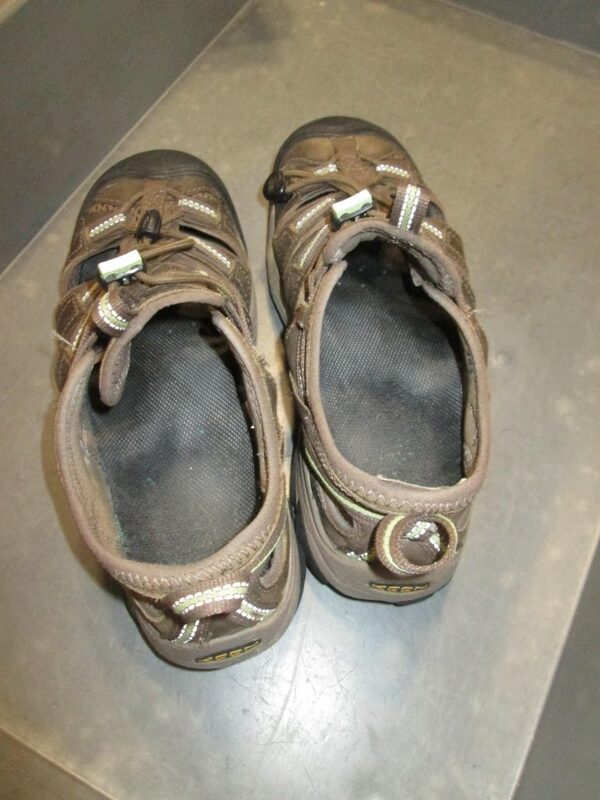 I wore those all over Europe with my kid, covering 6-8 miles a day. I ended up throwing them out in the Dublin airport security on my way home because I had worn them out. And they stunk. Here’s my good-bye picture. They suggested I try the Oakridge. Sadly, my local REI doesn’t carry them (I’ll work on that! They have them for men, though.) I ordered directly from Keen. And like the Altras above, I had to avert my eyes from their ugliness when I put them on. Yet, if you’ve ever tried Keens on, you know that they generally always feel like magic. The test would be after a 5-mile walk. And then a 6. And then an 8. After 8 (or when the terrain is rocky or rooted) I throw on my 8-year old Salomon boots. 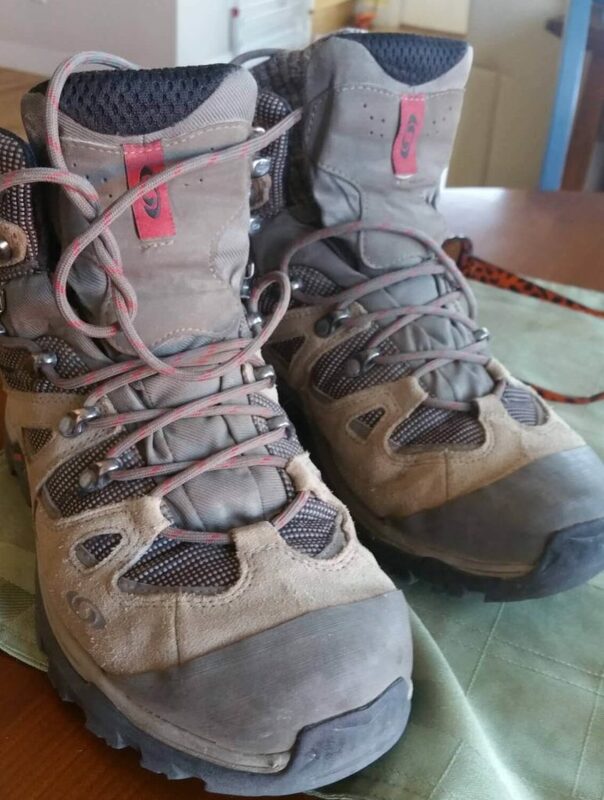 (which I have since updated to a new pair of Salomons that I like even more! Thus, to answer the question, “What’s on my feet?” Keen Oakridges, usually. And my whole body is happy. PS What are you wearing? Why?